Who would be your favorite YA villain? It could be anyone from Voldemort from the Harry Potter series, Valentine from The Mortal Instruments, or even President Snow from The Hunger Games. It could be a lesser known villain or even the most popular one. Who strikes you as the most scary - the most terrifying? When something goes bump in the night, who do you hope it isn't making that noise? Just for curiosity's sake... And because I think villains are by far the most interesting characters of them all. A story may seem like it depends on the hero but to me, it would all fall apart without the all encompassing villain. So, if you could pick a villain (any one from any book), who would it be? This book surprised me, which is something that rarely happens and it is typically something small. However this book was an all around surprising book for me and I definitely wouldn't have been able to guess how it ended, let alone what happened in the middle. Trust that it has a happy ending. Truthfully I hadn't realized that the town was legitimately submerged underneath water and so was the town's secrets. The plot flowed easily which made it that much easier to slip into the life of the main character as she struggled between who she is and the past that she didn't have a chance to be a part of. 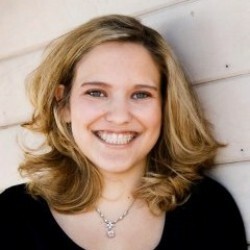 Cassie, the main character, was born early - that much was made clear. Perhaps, she shouldn't have been born at all or so some people believe. It would be hard to tear your family away from the triumphant moment when the town sunk beneath the water especially when it seems to haunt you since you were born. Despite all of the things that seem to be against her, she is amazingly smart and she has a vast knowledge about the town that she never saw - a town she never got the chance to know. Her lungs, under developed from her early birth, only seems to encourage her desire to see the town even if it is just from the surface of the lake as she swims across. Her intuitive nature and her desire for answers are what drives the whole story and it definitely brings about answers that will shock people. I was actually surprised with Liam, simply because he became a character that was so different from what I had conceived he would be. His life is what I would think would be the definition of hard, at least for me. He was born along with his twin brother in the original town, awhile prior to the idea of drowning the town was discussed. However he became deformed when his family got in an accident which killed his twin brother and forever changed his father from the man he once had been. Liam partly blames himself and because of that Cassie was able to form a connection with him. I think he has a crush on her though and in many ways I think they are perfect for each other. He is a great kid that loves his family and looks out for his dad. Not what I expected but something I definitely loved. Her parents are polar opposites from each other and yet they both attempt to show Cassie love in their own unique way which sometimes only seems to hinder their relationship with them. It's clear they didn't want another kid and didn't need one, so how can they have some deep bond that most claim to have with their kids? Her mom is a history teacher, who had taken off time to raise a family and once the two older kids had gotten older, returned to work. She practically raised Cassie in the class room. She is overly protective of her and certainly treats her other kids different. Cassie sees that it is unfair. Her dad is the artist of the family and a free spirit. He doesn't see the world like everyone else and he takes a more gentle approach with how to love his youngest child. He allows Cassie to watch him create and shares secrets with her that he would not share with anyone else. Her siblings always seem to be miles away from her as though they realize they have a younger sibling and yet sometimes refuse to acknowledge the bond that definitely could've formed between them. Her sister is perhaps the toughest one of all to understand. She works for the mayor, a character that has a great deal of charisma and has an addiction to his power, and doesn't question everything - not like Cassie. She is always trying to make the city government look better and I can't decide if that is admirable or annoying. She is the sibling that constantly rains on Cassie's parade and point out that when important things had happened, Cassie wasn't alive. Her brother tries to be supportive of his sister and not make things so awkward for her. He realizes that she is struggling with the age gap so he just doesn't push like her sister does. He manages to bring humor to some of the hardest moments. He helps Cassie find her place in the world, even if it is not with their family. I really liked this book. So check it out! I have to say that the moment I say that a novel by Holly Black was up for review, I was thrilled and I jumped at like I am sure many other people did. Because, who wouldn't want to read it? Plus it's about vampires and who doesn't want to read about vampires? This book holds a little bit of a twist on how people embraced or ran away from vampire when they first made their presence known. Places called "coldtowns" opened up everywhere and people that lived in these towns were free game essentially for vampires to feed off of. Many come because they seek the glamorous life of the vampires and eternal beauty that comes along with it. The premise of this novel seems pretty realistic to me. The characters bring to life this world perfectly, proving that not everyone wants to be a vampire and not every monster is as bad as you think they are. There are secrets, lies, betrayals, and twists that caught me off guard. You'll see that love and friendships develop in even the odds of places and the darkest of circumstances. I have fallen in love with this story and I am sure you will too! I always worry about whether I will like a main character because that is almost a make or break for me. If I don't like a character then it makes it hard to want to read the book but I really loved Tana from this book. She remains true to herself throughout the course of the novel and that is a rare thing to see in books now-a-days. Most characters flipflop continually and never make a steady choice that they are willing to stick to, especially if there is a horrible outcome but Tana holds her head up high and lets whatever happens happen. Of course, I still faced the frustration with her when she didn't make the choices I want her to but that is part of her appeal because she doesn't change for anyone. She is loyal to those that she loves, which is undeniably admirable, and never gives up until the best outcome happens. She is a strong female character and I adore her for it. Aiden, oh Aiden, how many bad choices can you make? All of the information you collect about this ex-boyfriend certainly doesn't make you his biggest fan. I learned a lot about how he once was and by the end, I got to see how much he has truly grown throughout the novel which is a ton. He went from the crappy ex who I would've left to die at the hands of vampires to the boy that you want to be happy and silently cheer for despite your original opinion of him. I definitely came to admire him for his choices by the time I shut the book but who knows whether he was the crappy guy he once was or whether it had been a front. Love this guy but no... he didn't seem like the best choice for the lovely main character. There always has to be a secretive, brooding type that has to be absolutely gorgeous and the main character just can't seem to get over his good looks. Well, to a certain extent that was Gavriel, who is an attractive, nay, beautiful vampire that captures a lot of the typical ideals of being an immortal without going crazy. Tana, despite her best instincts, cannot keep away from the guy that is everything everyone hates. He's a vampire. She knows that she should stay away but even I will admit that I wouldn't keep away from someone like him. He's too awesome. As the story continues though, you realize that you don't really know who Gavriel actually is. The secrets surface at what can either be the most opportune moment or the worst moment possible. He really comes into himself near the end of the book, proving that he could quite possibly be insane in every sense of the word. Yet, he is so attractive and wonderful! I wish I could talk about more characters and some more of the plot but you really just need to check it out. It is such an amazing book that it deserves your attention, trust me. The Vampire Academy is over, Rose and all of her friends are living their lives in court with Lissa once the series comes to a close. However, there is another story tell and not everyone has had their happily ever afters, so now it is Sydney's turn. I remember her very well from the original story and I always thought she had a very original voice compared to many of the other characters in the series. Her distaste for vampires in the beginning is really what captured my interest. She grows to perhaps understand them but she still has a hard time being friendly with them because of her upbringing and the culture of the Alchemists. This book brings back characters such as Jill, Adrian, and Eddie as well. I love the growth that each character faces throughout Bloodlines, while staying true to their original nature. 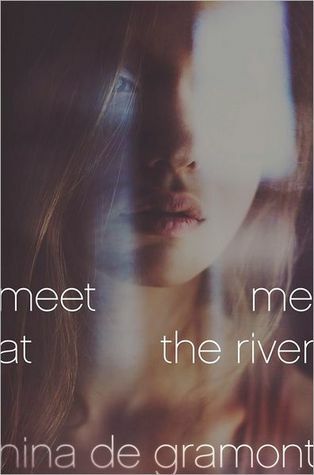 Richelle Mead's writing style brings to life a new world and I loved it! Sydney, a girl those who have read the Vampire Academy series are familiar with, has always been loyal to those she cares about and from the beginning, she displays this characteristic from the first page. Not only is she still under punishment for her actions during the original books, no one believes they can trust her because she has become essentially a vampire lover according to their beliefs. When she accepts the job to assist in the protection of Jill, I think she still struggles with the initial disgust that she feels toward vampires. It will always be somewhat ingrained in her nature no matter how much she attempts to desensitize herself to it. I loved how easily she manages to take over the role of main character and carries the weight of a complex series that had Richelle Mead not done it, I would not have believed she would be able to handle it. This character brings to life the world of Vampire Academy in a way I never would have anticipated and yet, I love it. Sometimes spin off series don't work but this one definitely does. Jill has come into her own in this book. She continues to struggle with her identity after the shock of the finale for VA and she continues to struggle with the concept that she is anything but Jill. Her life has become tied to Adrian's much like Rose was tied to Lissa, which only proves to complicate matters further for the young Dragomir. It's hard not to love and feel bad for her after the story begins. This young woman has grown up a lot since she first was introduced to the VA series. I love, however, how naive she still proves to be, especially in the boy area and she takes to the whole romance thing quite easily unlike Sydney who would rather run from attractive men. Poor, brooding Adrian still suffers from the emotional blow that he was handed at the end of VA and struggles to maintain his "I don't care" attitude. I think in this story, he truly comes into his own as his real aspirations come to the surface with Sydney's encouragement. He wants to be more than he is and move beyond the person who he once was - the one that apparently wasn't good enough for Rose. I've always adore Adrian with his attitude that always appears to be a facade and I love him more in this book than the original ones. And all I need to say about Eddie is that he is adorable. I love the writer and I love the book. It works somewhat like a stand alone and is the perfect continuation of the Vampire Academy series for those who can't seem to let it go... like, well, me. It's your turn to back a decision. Is she guilty or isn't she? Did she kill someone or was it a simple mistake? Perhaps it was a pack with the family of the patient and she was setup as the fall guy or perhaps we don't understand much of anything at all. In this book, the reader gets a chance to do something that many jurors wish they could do. We get to hear the evidence, hear the case, and get an inside look into the accused mind. My mom is addicted the murder mystery/forensic files/cold case shows so I am familiar with the whole process that takes place in a murder trial but this truly sounded interesting. It appeared to be right up my alley, although I ended up being slightly disappointed in the end with the main character and some of the story. There are some people in this world that just happen to rub you the wrong way and it's hard to forget, even if they change. Sunny, sadly, was one of those characters for me. Her vibrant pink hair didn't honestly bother me because it fit her rebellious spirit. However rebellion doesn't always equal bratty attitudes and disobedient behaviors that grated on my nerves. I admire characters who manage to show their true nature through their facades of brattiness, however I failed to see it. Yet she did manage to prove that she did care for the residents of the care center and her disobedient behavior became a way to try to make these patients lives better. Her attitude really did continue to bother me though, which proved to be a problem regarding the rest of the story. The main men of this story are Cole, the son of one of the patients in the care center and the eventual supposed murder subject, and Donovan, whom she actually claimed to be her boyfriend but seemed to lose eventual interest in him. Her parents had forbade a relationship between Donovan and Sunny after he was caught shoplifting but as any teenager and parent knows, when you say no, it only makes the opportunity seem that much better. It drives the girl into the wrong guy's arms and leads her farther away from the good influences of the people who should be closest to her. However, she eventually begins to show some form of interest in Cole but refuses to entirely admit it to even herself. This little crush has a small motive in the whole plot of the story, even if she claims that he is only a friend. So, now it is your choice. Is this your type of book? It wasn't really mine but I understand that to each their own! Check it out and maybe share your thoughts. The moment I was introduced to this story, I had the feeling that I was going to fall in love with the book and the storyline. It seemed so unique and it was so amazing. It is the story of Karou, a girl who has grown up among... I suppose, demons like Brimstone, although it seems a bit derogatory of a term for such beautiful characters. The author has captured both the idea of a mortal among demons and that demons are not in fact the evil creatures that we believe them to be. Then as you dive deeper into the novel, you find that not everything is as it seems and Karou is certainly not the girl she or you believe her to be. Questions begin to arise as ideas begin to surface. Why is Karou raised among Brimstone and his friends? What happened to make her who she is today? Who is this strange angel that claims to know who she is? Are past lives possible, especially for a girl like her? I adore Karou for how she is in so many ways. Her character could've either been very unique or one dimensional yet she becomes this confident young woman that captures the rebellious teenage spirit in very unique ways. When she is faced with her ex-boyfriend, she decides to torment him because he definitely ruined her perception of relationships. But this isn't the only way that she pushes boundaries. Brimstone sets certain rules for Karou so that she can remain safe and perhaps a secret. However, she likes to bend them just a little to see if he will let her. She always gets caught and he doesn't let her off easily when she does something wrong. Despite all of this, she loyal to those she loves and would certainly give her life for those that she loves. The one question she longs to have answered is about her past. She has always been human, at least that she remembers but she doesn't know why she lives with Brimstone or how she came to be where she is. This is the beginning of her beautiful journey to discover who she is. Akiva's presence has certainly caught me off guard when he was first introduce, yet I fell completely in love with his character in every way. I wasn't sure how I would feel about angels being introduced when I was just getting used to the idea that demons are kind and perhaps the good guys. Does that make angels bad guys? Akiva, although, seems to be discontented with his life among his brothers and sisters as a trained soldier to do his father's will. He seems to be unhappy yet he goes through the motions of listening to and following the orders he was given. It is as though his reason for living was taken from him... and it was. He still longs for the woman he once loved and still loves. It is hard not to feel sad for him. Brimstone was certainly depicted like what would be a terrifying character, yet he came across as a loving, stern man. The way he cares for Karou really made me love his character even more because Karou didn't have a family outside of this ragtag group of people. He really truly becomes the father figure that this young woman needs as he strives to teach her patience and love. Issa as well as all the others become the other family members in this odd ragtag group that becomes a family. They adore her art and Karou herself. She feels like she truly belongs among this people. Finally Kishmish, who is the little messenger boy for Brimstone, always has Karou somewhat on edge when she sees him. Zuzana is Karou's best friend and this petite little character that holds so much life. I can honestly say that she not only is the best sort of friend that the main character could have but she is the type of friend that every sort of girl needs. The type that won't take all of your crap, will listen when you need them and has so much spirit in them that it not only lifts you up but also keeps the party going even when you feel like you don't want to. I love, love, love this book. It is intense and lovable. It is unique yet relatable. Thank you Laini Taylor for creating such an amazing cast of characters! After a summer away from his friends and his mom, JD is finally coming home but to a place that is not entirely the same as when he left it. His friends have bounded with different people, his girlfriend is somewhat of a sour note, and his mom adopted this dog that seems to hate all men. Welcome home? I've spent three or four weeks away from home and come home to a completely different place than the one I left behind. My friends are suddenly more busy than when I left, my parents have made plans that I had no idea about, and my dog isn't nearly as excited to see me as she used to be. The first thought that crosses any person's mind is, "What happened? Where is my real friends - my real family?" I liked the whole concept of the story which is very simple. There isn't a ton of subplots going on in the background. I know that compared to perhaps the concept of most other YA novels this one is pretty simple but it works for the plot line. I prefer the shortened version of the main character's name, JD, far more than his actual name, which is honestly surprising because most of the time I like the full name more than the nickname. He is the rebellious guy that has a fun loving personality. He prefers to keep to himself in his room if he isn't hanging out with his friends. It takes some time for this rescued puppy that his mom adopted to warm up to him and a friendship sparks between the two of them. I wasn't extremely enchanted with him in the beginning because he honestly seemed a little boring, especially with the simple plot. I slowly started to warm up to him as his affections toward the dog grew and so on. His mom is someone that I feel bad for. She is trying to have a good relationship with her son and keep their family together in a tight knit way. After sending him away, she hopes to protect him from his past mistakes but when she has to work a lot, it is hard to follow through. I admire her choices and the choices she wishes her son wouldn't make. I can sense a lot of my mom in this character because it was the same situation with her and my brother. Johnny Rotten, oh how I despise this name for a dog despite how he may think it fits. I prefer the idea of calling him JR instead like JD. I adore dogs. I have a yellow lab that is my best friend, in fact she is more frequently by my side than not. So, of course, I was thrilled with the concept of this whole novel in general. The author really captured how an abused dog would act and how a dog in general is during the moments when JR is in the scene. I am always cautious when friends take such a large role in the plot of the story because it can be either a very good thing or a very bad thing. More often than not, friends betray friends and that is what makes it hard. His friends are no different. Rudy is perhaps his best friend and I was thrilled that he stayed by JD's side throughout the story. I was worried that he would be the one that ends up hurting him the most. I was pleased to see it was not the case. I enjoyed the story, it wasn't my most favorite story but it was a good read anyway. This is the story of a family, stricken by lost and struggling with the unknown future of one member's illness. They fight to not only stay close but also not lose touch of who they are or what they used to be. It is about the acceptance of the present and the undeniable love of the past. Together they can survive everything. And a love of a horse could change everything. I love the story and how focused it is on family. It's hard to find a story that not only accepts that family has a huge role but that the family can be a good influence on the main character. The writing was beautiful and the opening certainly created a hook that captured my attention and my love from the start. Jill Hucklesby managed to bring to life everything I think is real life. Jodie is the type of girl that I see a lot of myself in. Her family truly comes first in her mind and yet they encourage her to continue her passion. They never want her to lose herself to all of the sadness that rules their lives now. She is a huge support for her brother as he struggles with health issues. She is the type of sister that lets him clamor into her bed after a sleepless night and she never questions the fact that he needs her. Her connection to her family is what I see a lot of myself in. Her younger brother, Ed, is so cute. I can't even tell you how much I loved his little personality and all of his little moments throughout the story. He is the type of boy that would rather make jokes than dwell on the seriousness of the situation and I admire that a lot. Whenever I have had to face the idea of health issues for myself and my family, I can't not think about it constantly. I wish I could be Ed during those moments because he not only keeps his spirits up but also manages to help his family look at things with more hope and happiness. I cannot imagine being their mom as they go through the course of the story. She has faced the loss of her husband, the sickness of her son, and the idea of somehow moving beyond that. I admire how much her kids accept the idea that she might move on from their dad and that they don't expect her to live alone for the rest of her life. She brings to life the type of mom that should be more common in this genre because more often than not, the evil mom is too common. I was going to talk about the horses because I love horses but there are so many different ways to tackle this particular topic. Just know that these horses come to life with their own personalities and brings to life the happiness that everyone in this family needs. I love this story, it is beautiful in its own way and I haven't experienced one quite like this before. Have you ever read a book that brings to life everything you love? The story was well written, with vibrant descriptions and characters that brought this dystopian world together. It has the feel of stories like The Giver, with a society content with how things are despite the evils that are most likely going on just behind the scenes. It takes one character to change the game and this one happened to be Walt. He captures the essence of what questioning the social norm is meant to be. In many ways I hope that I would be the "Walt" if I ever faced a similar situation and yet, isn't it better to be content? At least that's what most people say. I always enjoy dystopians for that exact reason. It is about questioning everything - sometimes even yourself. Walt is the main character of this story, filled with less confidence than the typical hero of a novel. In fact, I am pretty sure he would be the type of guy that feared everything... including himself. However that seems to make him more adorable to me than I care to admit. As the story continues he begins to act more like Yorrick, which in someways makes me sad because I loved the tongue-tied shine little boy that I met in the beginning. It's amazing what meeting a girl can do to a guy's temperament. He manages to not only silently challenge the norm and bring about great change in the best sort of way. Yorrick is his cousin and the heir to become the future leader for Hope Harbor. He will become the future Bookkeeper, the man with the most knowledge about the past of the island they live on and the Goddess they believe in. All of this knowledge has certainly made him a know-it-all and arrogant in certain ways but he always cared deeply for Walt. They were each other's best friend and greatest allies. Together they wanted to push the boundaries of their society but... sometimes things don't work out like you hope they will. There are only two people that I am going to talk about in his family is Grandpa Thomas and his Grandma. His grandfather is an interesting character and you can see from the very beginning that Walt admires him greatly. They have a certain close relationship where once a week they went to the temple together and he respected his grandfather's wishes. But Grandpa Thomas was clinging to a past that had long since gone. A lost love that he could never reclaim because she ran from the society that he believed in. This made him determined to never allow that to happen to his new wife and daughter. Both relationships ended in sadness. His grandma faced a great deal of heartache throughout her life. First, the man she loved never truly loved her the way she wanted. She watched him fawn over a lost love and go insane over the idea that this fate might again happen with her and their daughter. His determination to only observe the religion in its fullest and never ask questions eventually led to their divorce. At that moment she truly lost all connections with her family and was not allowed to see her grandson. She continued to mourn the loss of many things. Annabelle is goddess of this society. They say that she had long ago made a promise to the people that she would return by ship and bring them home again. It is this promise that leads them to keep surviving and maintain their society, always hoping - always searching for the woman that is meant to save them. But Walt must face and challenge this promise - this goddess - during his journey to find out what is real and what is not. Alisa is the girlfriend of Yorrick and she centered him in a way that many people couldn't. She managed to see beyond his facade and into the real man that he was meant to be. After facing terrible heartbreak, she becomes Walt's biggest support and is determined to know the truth about their society's beliefs. She fears the what ifs of the world and suddenly the world she has once depended on is no longer the world she thought it was. A beautiful friendship blooms between Walt and Alisa but it remains there. She is in love with Yorrick, despite everything, and cannot see beyond it. I believe that Walt and Alisa become each others greatest support because they both lost something special. Leia is someone very special to the story. An Unbeliever. A girl that captures Walt's affections and makes him turn into his cousin. I adore her for never giving into his attempts at flirtation although her cheeks without fail always become bright red. This book is a lovely read and I think you can certainly read this as a stand alone novel if you so chose. Definitely check it out! The quote I put from a random section of the book, which is nearing the end of it, accurately describes the book. The whole novel is about life and trying to survive when someone you love dies. It contains survivors guilt, depression, blaming, and loss of self control, especially when it comes to the one who who passed on. Tressa and Luke have an enduring love, one that I certainly admire, which honestly lasts even after he dies. They both cannot let go of each other. It's the sort of love that I think every girl craves and I think that is why they have such a hard time moving past it. I know that I would have a hard time letting go of what I feel like is the love of my life. Nina de Gramont manages to capture the most difficult emotions to depict and brings them to life through these characters who must face some of the most difficult situations. I cannot even make myself picture these situations and I applaud the fact that she brings it so flawlessly to life. Tressa is an admirable girl, despite her flaws that are sadly becoming more and more common in girls that face depression. Such as... myself at times. The author has certainly given a role model to girls about how to face depression by the end of the book. She definitely faces a great deal of challenges prior to and throughout the course of the novel, things that I wouldn't even want to imagine. I can't picture loosing a boyfriend, one that is particularly a son to my mother and is a son to my step-father. I can't imagine how heartbreaking it would be by any stretch of the imagination. She clings to the past which makes it so much more difficult for her to move beyond her pain but she struggles with the idea of moving on because she doesn't want to lose Luke. I can completely relate in one way or another. Even before his death, she had a hard time connecting to people and now people blames her for Luke's death and she definitely does. I am proud of how much she grew by the end of the book and how much her attitude shifted in such a short amount of times. I can't even imagine what it would be like to be Luke. The poor boy faces the idea of living without her, the love of his life, for a very long time. He has to face the idea that she might move on and find someone else. How could that be easy for anyone? I can't imagine having to come to grips with something like that. Another aspect that is hard for him is the fact that he has nothing to do but live in the past and the fact that he cannot visit anyone but Tressa. I am not entirely sure that I would be entirely okay with that if I were him. I would want to see my mom and all of the other people, yet I feel like he accepts the fact he cannot see others better than I certainly would. But even seeing her is not everything he wants because he cannot feel her touch outside of the skin of her wrists, which are scarred - evidence of her depression, and that is something that I think would make it only that much harder. Her family and his family is filled with so many complexities that it's hard to even describe. Hannah, Tressa's mom, is flaky and has a hard time staying in one place for long. Ever since Tressa was born, she was dragged around the world because she doesn't like feeling trapped, I believe. I think the mother-daughter relationship is somewhat dysfunctional because while she never truly gets angry at her, she constantly hovers. Paul, Luke's dad and Tressa's stepfather, has very little relationship with Tressa because he felt a great amount of jealousy for the relationship between Tressa and Hannah as well as disapproving of her relationship with Luke. In someways, he blames her for what happened. I cannot even imagine having the man I am trying to view as my father essentially hating me. It would hurt and it would be extremely hard. Francine, Luke's mom, is having a hard time. She is certainly suffering from the loss of her son and struggles with how to confront her emotions and Tressa, which makes it awkward when ever they see each other. She avoids Tressa constantly, especially since they both are at the high school five days a week, because she is afraid of the past and partly blames herself for Luke's death. Tressa's grandma and grandpa are the greatest support for Tressa and therefore they were my favorite family members. Evie is the girl that slowly becomes Tressa's only friend and the only person that doesn't look at her with complete pity because she has been in a similar place. They bond over their losses and it makes the idea of moving on easier for our lovely main character. Tressa is able to see that it is possible to let go of the hard times in life and find the joys in the beautiful moments however rare they may be. HJ is Evie's brother and also a great support to her. He inspires her to want to live again for so many reasons. Even if she is living one day at a time, he encourages her to move beyond Luke. I was surprised at how big of a role he actually played in the novel but by the end of the book, I understood completely why he was so important. It was a great read, definitely check it out! Let me fan girl for a moment because I really love this novel! It has so many factors that I adore in a story and I just can't believe how flawlessly it comes together. I love the paranormal aspect and the historical aspect that I adore. It brings to life two of my favorite genres into one story. It's amazing. The story of Sekret is one of complex interweaving of many different concepts that somehow flow together in a very beautiful way. Yulia, the main character, is the type of main character that the reader will either want to hold as her world crumbles or shake as she makes decisions that you don't like. 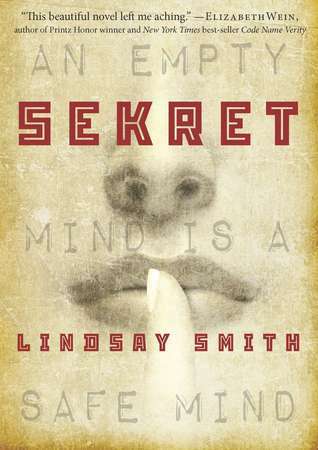 Her world has been one of secrets and lies, which quickly becomes very evident as the KGB kidnap her and force her to become something that she never wanted to be - a spy. A soldier simply because she has powers beyond what a normal person has. She can touch an object - a person - and pull memories and emotions from it, creating an idea of what occurred in the past and that makes it easier to guess what is going to happen in the future. The other people she is working with all have their own secrets and their own motives. So she must ask herself the question,who can she trust - if she can trust anyone? Lindsay's novel is written so beautiful that I was immediately pulled in to the world of Yulia and I never wanted to leave. It fit all of my desires for an awesome young adult novel, which is why I am fangirling so much about this! Yulia actually surprised me. I wasn't sure I would like her when I first began to read the novel because she came off a little different than the average novel heroine. As she continued to grow throughout the first chapter, I found myself attached to this rough around the edges girl who has a great amount of loyalty to her family. She would literally do anything for her family and I admire her greatly for that. She became such an amazing young woman that it honestly held my attention for such a long time afterwards. I now find her as a strong, confident, a ration rat that had everything taken for her and yet she managed to prove she was more than just a girl that defined herself by her situation. No, she defined herself by her family. She may keep to herself and perhaps she doesn't trust easily but she is so much more beneath her facade and after the midway point through the book, she truly becomes a character to admire. I love her. By far one of my favorite main characters I have read. Her family is certainly a complex unit of people that have more secrets than perhaps any government in existence. But you know what, they can have these secrets because they know about the special powers that apparently have appeared in Russia during the Cold War. They worked on this intense project in regards to that and quickly became disenchanted with the government they were working for, I believe. All of secrets I am sure will eventually cause some form of chaos and eventually it will explode in the worse sort of way. Yet they are loyal to each other despite each person's ulterior motives. Her brother is amazing and he has a disability that makes him more different than anyone else. His world is different than what everyone else sees. He hears music, he finds comfort in repetition, and he sees in brilliant colors. I loved him almost as much as I loved Yulia. There, I suppose, are two love interest for my lovely Yulia. First is Sergei who is the typical manly boy that loves hockey and is very outgoing. He is comfortable with the idea of being a spy because he knows that they are being taken care of by the government and that eventually if he obeys, he can live the life he wants and occasionally compromise what he should believe is right or wrong. However, from the moment he meets Yulia, you can see that he likes her and that he will do anything to protect her. So that is love interest number one. Love interest number to is my personal favorite, Valentin. He is the brooding musician type that prefers to stick to his thoughts and to himself. The way he carries himself shows that he feels a great deal of guilt, sadness, and self hatred but escape is impossible when it comes to the KGB program. They will find him if he attempts to escape and most of the occupants in the program learn that first hand. He slowly warms up to Yulia and the whole time I was just dying for him to make a move or prove that he was romantically interested in her. Trust me when I say I wasn't disappointed in the romantic aspect for this novel. But I won't tell you who wins the girl or... kisses the girl. You'll have to read and see! Larissa is perhaps the one female character outside of Yulia that I actually grew to like and perhaps adore. Little by little she moved from the girl that appeared on random pages to the girl that I knew would be the type of friend the main character needed. Even though she had her secrets and her motives for her actions, there was a certain purity about her that I found admirable. That even though she was trapped in this situation she somehow manages to leave some parts of her untouched. Her power is amazing, which I won't reveal, and if I had it, I would totally use it to my advantage but she maintains the stance that she will not or perhaps cannot change the inevitable outcome of what her power provides her. I love, love, love this novel and I feel horrible posting this review so early before the release but I felt you needed to know how awesome this book truly is.